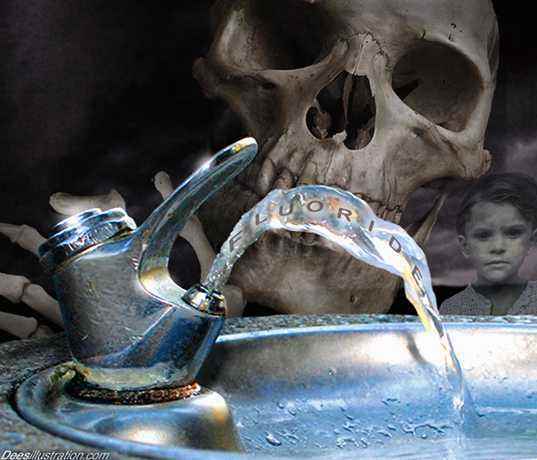 Fluoride in drinking water: Will the EPA get tougher? Environmental health groups are now looking to the U.S. Environmental Protection Agency to impose tougher standards on fluoride in drinking water, building on a decision Friday by the federal Department of Health and Human Services to lower the recommended level for the first time in nearly 50 years. The HHS move came in the wake of a government study showing that about 2 out of 5 adolescents have tooth streaking or spottiness because of excessive fluoride. In extreme cases, teeth can become pitted. The dangers may go beyond cosmetic issues. The EPA released two new reviews of research on fluoride Friday. One study found that prolonged, high intake of fluoride can increase the risk of brittle bones, fractures and crippling bone abnormalities. Since 1962, the fluoridated water standard has been set at a range of 0.7 parts per million for warmer climates, where people's water intake was greater, to 1.2 parts per million in cooler regions. The new proposal from HHS would fix the recommended level at 0.7. Although HHS recommends the level, it is up to the EPA, which regulates drinking water, to set a legal, enforceable standard. The EPA said Friday it is reviewing whether to lower the maximum allowable level of fluoride in drinking water from the current 4 parts per million -- a move urged by several consumer groups. "This decision is another signal to the public to take care when it comes to exposures to industrial chemicals," said Jane Houlihan, senior vice-president of the Environmental Working Group, a Washington-based nonprofit organization. "What is considered safe today won't necessarily be thought safe tomorrow." She said Friday's announcement is just the first step: "Now it's up to water utilities to respond and for the EPA to lower its too-high legal limit on fluoride in drinking water, which is more than five times the new maximum being recommended by the Department of Health and Human Services." In 2006, the National Academy of Sciences recommended that the EPA lower the maximum allowable level of fluoride in drinking water. The academy's report warned severe fluorosis, a disorder resulting from the absorption of too much flourine, could occur at 2 parts per million. And a majority of the report's authors said a lifetime of drinking water with fluoride at 4 parts per million or higher could raise the risk of broken bones. In 2005, the heads of 11 EPA unions, including those representing the agency's scientists, demanded that EPA reduce the permissible level of added fluoride in water to zero, citing research suggesting it can cause cancer. Other studies have pointed to neurotoxicity and hormone disruption from excessive fluoride. Friday's announcement came as a growing number of critics have questioned the addition of the chemical to municipal drinking water. Dozens of cities have outlawed the addition of fluoride in drinking water in the last two decades, frequently after contentious public referenda. In 2007, the Metropolitan Water District in Southern California considered increasing the levels of fluoride in its drinking water. The move was opposed by local activists, including the Environmental Working Group which published a report on the effects of fluoridating Los Angeles area water. The MWD adjusts the natural fluoride level in its water, which ranges from 0.1 to 0.4 parts per million, to 0.7 to 0.8 parts per million. The government first began urging municipal water systems to add fluoride in the early 1950s. Since then, it has been put in toothpaste and mouthwash. It can also be found in some bottled water and soda. Some children take fluoride supplements. Dental and medical groups applauded the announcement. “This change is necessary because Americans have access to more sources of fluoride than they did when water fluoridation was first introduced,” Dr. O. Marion Burton, president of the American Academy of Pediatrics, said in a statement. In Europe, fluoride is rarely added to water supplies. In Britain, only about 10% of the population has fluoridated water. It has been a controversial issue there, with critics arguing people shouldn't have “medical treatment” forced on them. The addition of fluoride to drinking water has been portrayed in the U.S. as one of the greatest public health successes of the 20th century. The prevalence of decay in at least one tooth among American teens has declined from about 90% to 60%, but that can also be attributed to improved dental care and fluoridated toothpaste, experts say. Although fluoridation critics have included prominent environmentalists and scientists, they have often been ridiculed by dental associations and fluoride proponents who have sought to associate the critics with a movement in the 1950s that had battled fluoride as a communist conspiracy. Most famously, fluoride opponents were mocked in the film "Dr. Strangelove." More information is available here on the HHS proposal on fluoridation. More information is available here on the Environmental Protection Agency fluoride standards. Chromium-tainted drinking water: time for a crackdown? Photo: Activists have fought the fluoridation of drinking water for decades. Here, a demonstrator from Los Angeles Citizens for Safe Drinking Water protested against fluoride at the 2000 Democratic convention. Credit: Clarence Williams/LA Times.